(Brunswick) Wiederveröffentlichung dieser mega raren 1958 Terry Noland LP (einige Titel mit Buddy Holly an der Gitarre). Die Vinyl-Schallplatte von Terry Noland wurde von Brunswick Records als LP veröffentlicht. 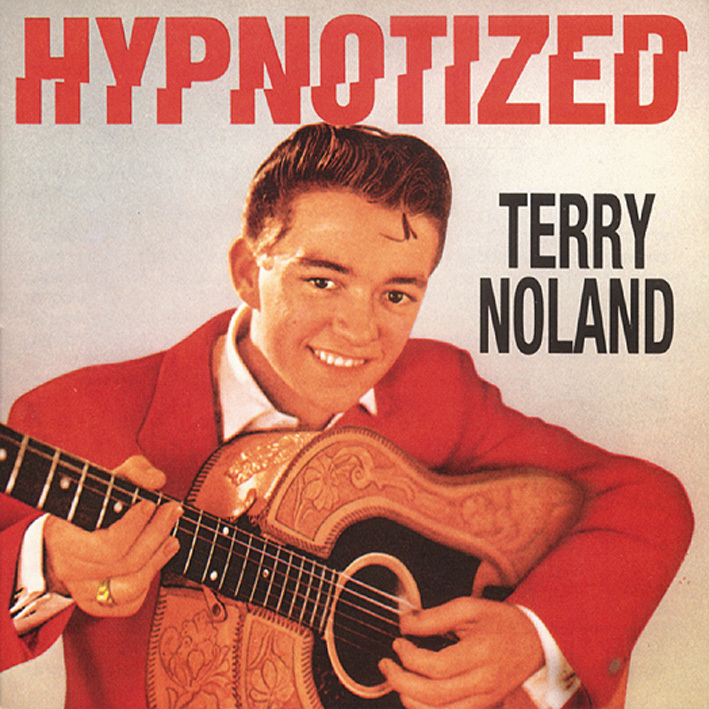 Like Buddy Holly, Terry Noland was a product of the Lubbock, Texas scene. And like Holly, Noland recorded for Norman Petty in Clovis, his output out on Brunswick just like The Crickets. 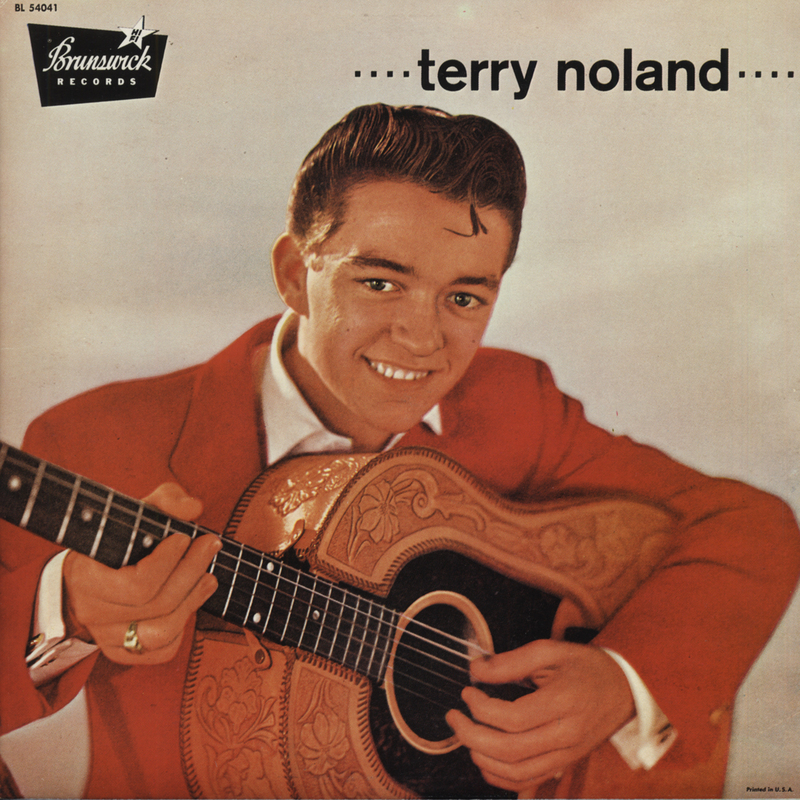 Born in 1938 in Abilene, Texas, Terry Noland Church and twin brother Jerry sang in talent shows before they hit their teens. Terry’s family attended the same church in Lubbock as Buddy’s, and Terry and guitarist Larry Welborn formed The Four Teens with future Crickets bassist Joe B. Mauldin. “I was in school,” said the late Mauldin. “I was over at Terry=s house one day, and he said, 'Man, I wrote a song last night! You want to hear it? And I said, 'Sure!' So he grabbed his guitar and played the song, and I said, 'Hey, that=s really nice, man!' And he had a bass standing in the corner of his bedroom that he had borrowed from the school, and I said, 'Well, shoot--show me how to play that and I'll play along with you!' So he showed me three chords on the bass, and we went through the song, and I played along with him. And it worked.” Noland quit The Four Teens before they cut Spark Plug and Go Little Go Cat for Challenge. Norman Petty liked what he heard when Noland demoed his composition Hypnotized and invited him to cut it for release on February 13-14, 1957—11 days before The Crickets arrived to wax That’ll Be The Day. Hypnotized and its playful plattermate Ten Little Indians crackled with excitement, but The Drifters covered Hypnotized for Atlantic and saxist Sam Butera and The Witnesses did the same with the flip for Prep. Rick Tucker penned wrote both sides of the southpaw guitarist’s Brunswick encore, but Don’t Do Me This Way and Patty Baby, cut that October, didn’t hit either despite solid backing by The Big Beats. A January ’58 switch in studio venue to New York’s Bell Sound to cut Oh Baby! Look At Me (written by Noland and Lopez) and Puppy Love (a Noland/Petty copyright) with Milton DeLugg conducting didn’t change the young rocker’s luck. Though Terry’s next Brunswick session on April 26, 1958 was held in Nashville with producer Paul Cohen, Terry emphasized his Lone Star connections--Sonny Curtis contributed Everyone But One and Holly bassist Don Guess penned the exotic Crazy Dream. with The Anita Kerr Singers adding harmonies. For his last Brunswick date in August, growling sax, probably by Boots Randolph, was added to Noland’s There Was A Fungus Among Us and another Curtis composition, Sugar Drop. Brunswick tried once more with a strings-drenched New York leftover, Teenage Teardrops, but stardom wasn’t in the cards. In 1962, APT Records released a one-off Noland single coupling two self-authored sides, Long Gone Baby and There Goes A Girl. Noland eventually became a property developer in Oklahoma City. 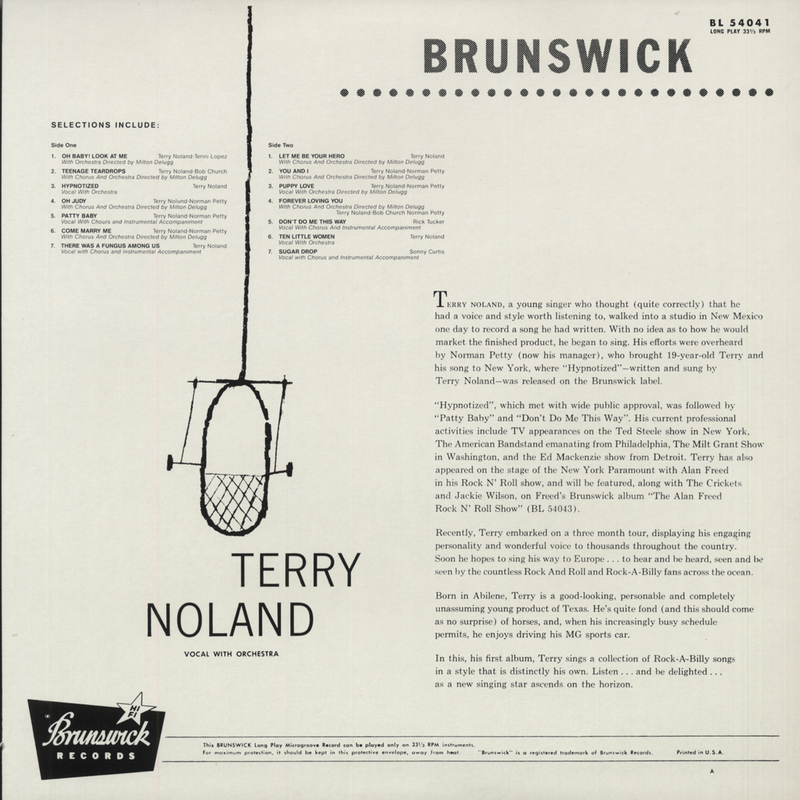 Kundenbewertungen für "Terry Noland (1958) re Vinyl-LP"